New Release: Check out what’s happening in Vol. 2 Issue 2 of The Capsule! NBCA supports the upward mobility of African American chaplains; provides educational opportunities for chaplains in cultural diversity; recognizes pioneers of the association; and provides a network for communicating contemporary chaplain concerns. NBCA’s Mission is to promote the highest level of pastoral care for patients and members of their family and community; to strengthen the effectiveness of African American chaplains; to assist in the recruitment and retention of African-American chaplains; and to foster the education, growth and development of all federally employed chaplains and professional allies. 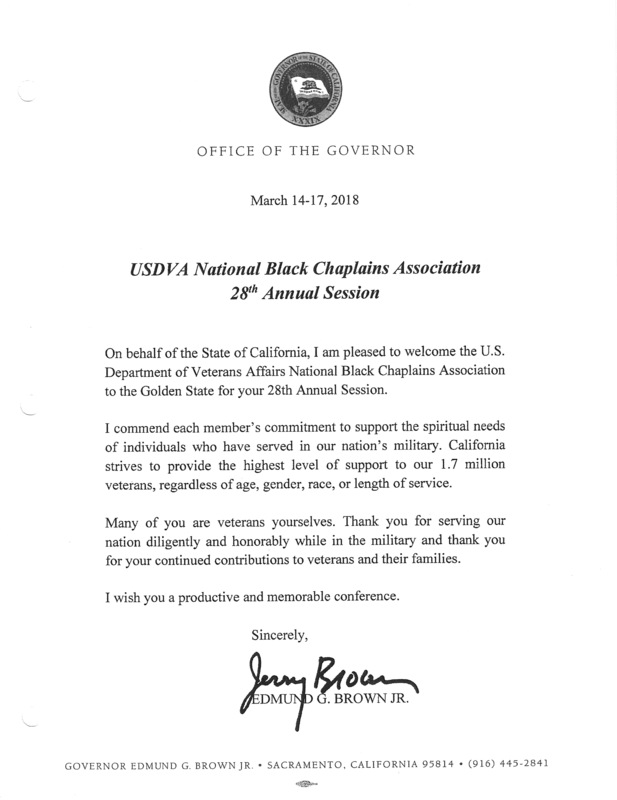 If you would like to donate to the Department of Veterans Affairs National Black Chaplains Association, please mail your contribution to our address or click here to give online. Check out our amazing donors!